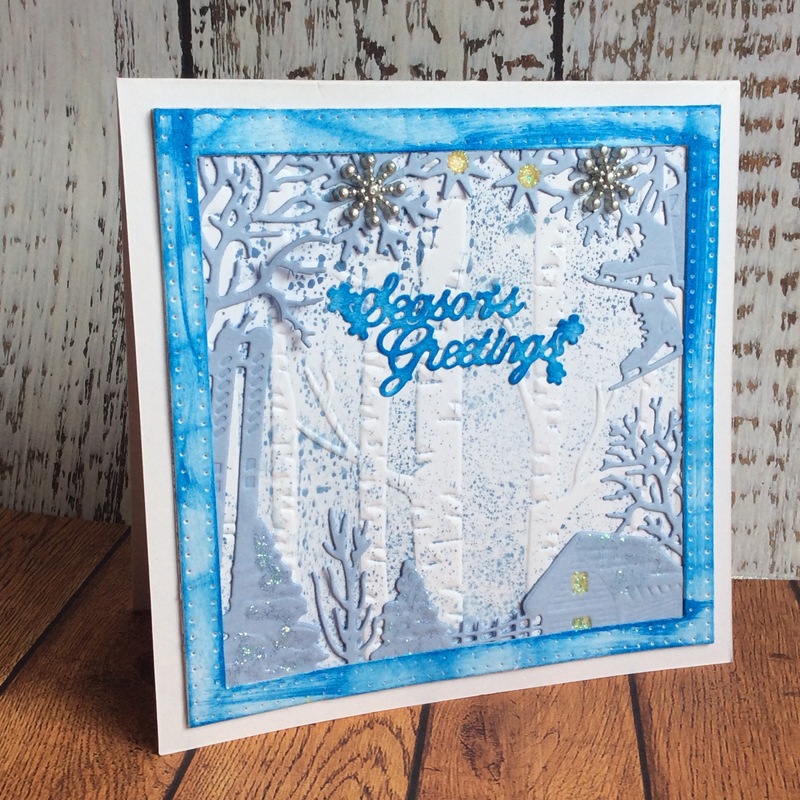 Here is a blue themed Christmas card I made using the Winter Wonderland frame by Amys Designs, I believe. The Woodland Trees embossing folder was spray inked before running through the machine, to get a background effect. Frame and embellishments added.